Two-armed steel tea strainer. Diameter of arms: 12 cm. 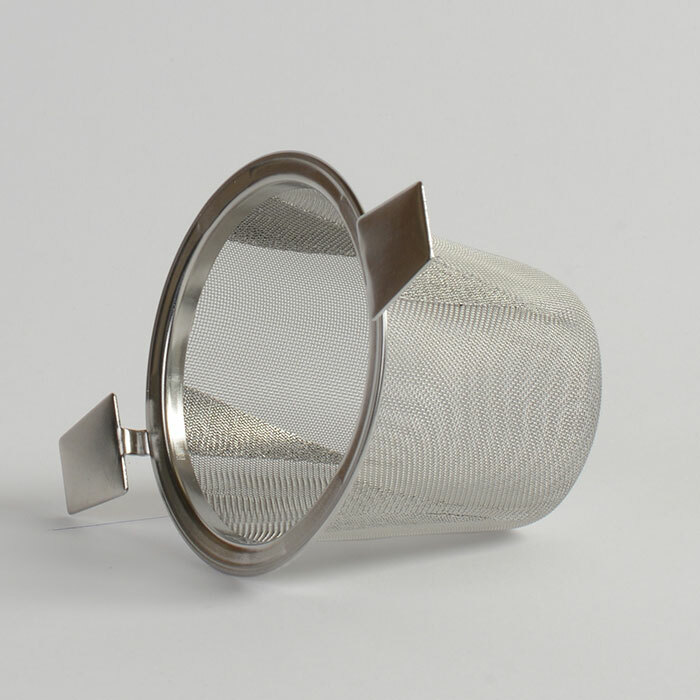 This is our preferred method of brewing tea. 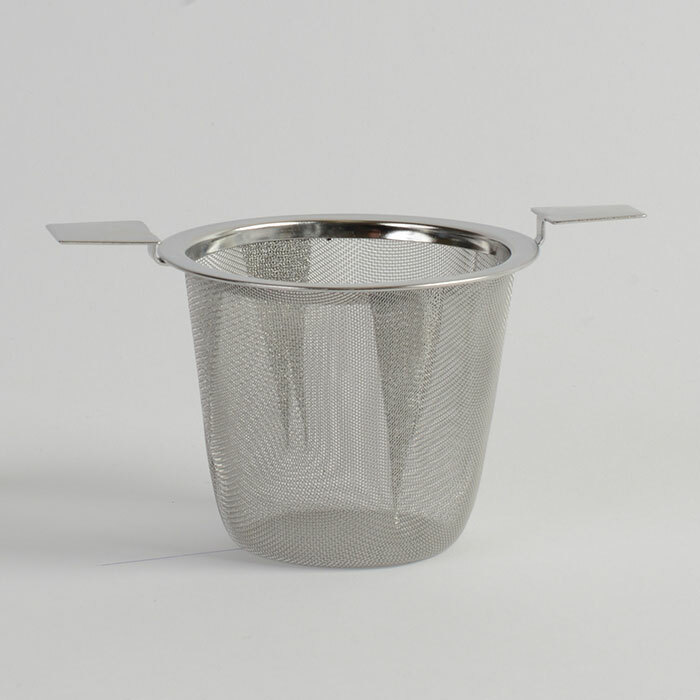 A smart and durable steel strainer that sits easily on top of a mug or teapot. 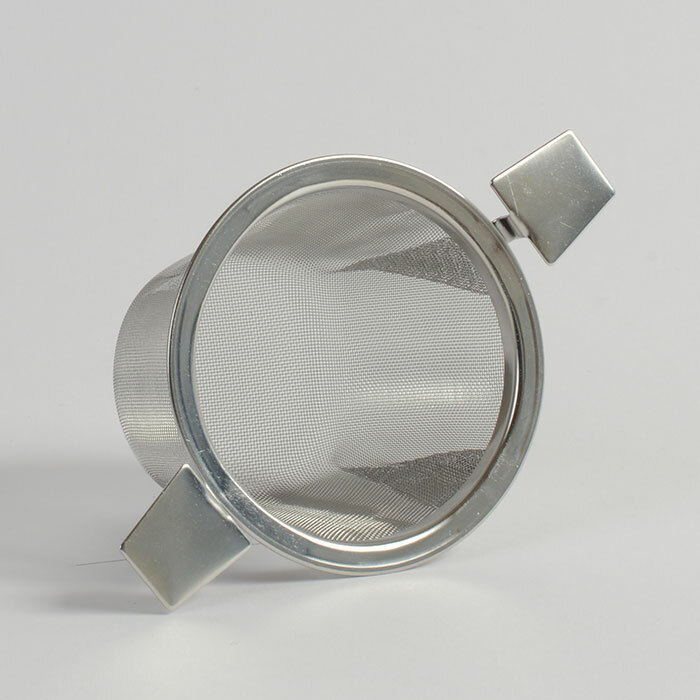 It is easy to clean and allows plenty of space for the water to percolate. The more the leaves can move and expand, the more flavour will be infused into the water. You can think of the brewing process as being like rearing chickens. Standard tea bags are the battery hen cages of the tea world, with precious little room for the tea leaves to run about, diffuse their flavour and generally enjoy life. 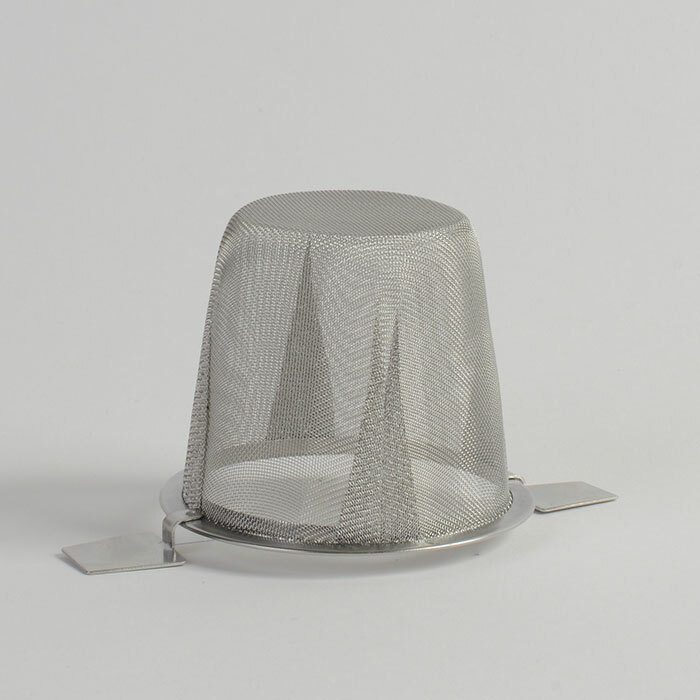 Larger pyramid tea bags and other premium tea bags offer a bit more room for manoeuvre, like spacious barns. But for the best quality brew you want a voluminous strainer such as this to allow fairly unhindered movement, so the leaves can diffuse and expand at will, making them the free range chickens of the tea world. Just to clear that up.